The build quality of Projects watches is adequate, but we can’t say much more than that about them. Cases are made from stainless steel. The watch faces are protected by mineral crystal. Bands are available in cloth, silicone, stainless steel mesh, leather, and suede. Water resistance for most models is rated at 50 meters; this is good for getting them wet, but you shouldn’t go swimming or bathing while wearing one. We don’t know much about the movements used in Projects watches, as the company doesn’t say anything about them, aside from the fact that they’re quartz electronic movements. Without more to go on, we’d suggest that they’re likely sourced from Asia. They may be Japanese or Chinese, but that’s just a guess. We haven’t been able to determine their origin. All models are quartz-powered, which means that they’ll be relatively maintenance free and also highly accurate. You won’t find much in the way of technical innovation with Projects watches, but that’s not to say that they’re not innovative. With quartz movements, you’re going to see off-the-shelf features and not cutting-edge mechanical complications. This brand is all about styling. They’ve achieved that; they have watches that have all manner of unusual ways of telling the time. Their Time Machine model has three rotating discs that show hours, minutes and seconds in a line at the 3 o’clock position. The Free Time model has three rotating discs that are incomplete circles; the incomplete part of the circle is the indicator of the hours, minutes and seconds. Other models display the time in words, or have hands that appear to be not attached to a central motor shaft. The company offers several dozen different models and they’re all as different from one another as night is from day. Part of that has to do with the fact that many different designers are involved, so they’re not all representing the work of the same individual. 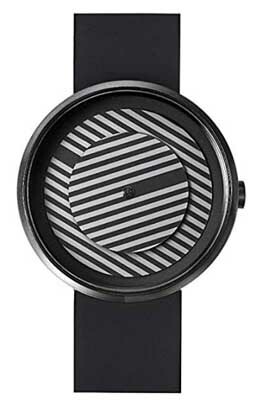 Despite their relatively low price point, these watches are all limited in production and models do sell out quickly. 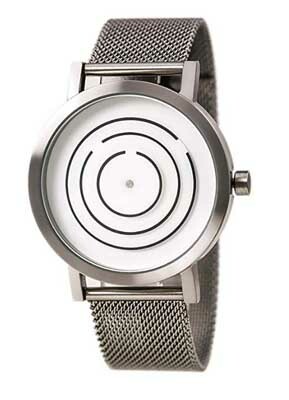 Care and maintenance of this brand is relatively simple, as all models feature quartz electronic movements. These movements are battery powered, and you’ll have to have the battery replaced every three years or so. Aside from this, you should store your watches in a cool, dry place and keep them away from strong magnetic fields and extremes of temperature. With proper care, you should get a number of years of service from your timepiece. The Projects watches warranty is not their strong suit; this warranty is significantly worse than the industry average. Most watches are warranted against defects in materials and craftsmanship for two years from the date of purchase, but Projects watches offer only a one year warranty. The movements are accurate and reliable, so defects are likely quite rare, but be aware that this is a rather limited warranty when compared to the industry as a whole. 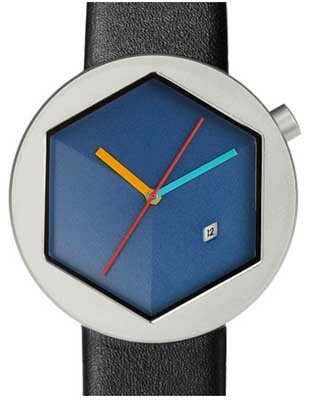 Despite their crazy and unique styling, the prices of Projects watches are quite reasonable. Most models are priced in the $100-$200 range, which puts them at the lower end of the spectrum as designer watch brands go. Be aware that there are many models in the product line and that all of them appear to be limited edition items. When they sell out, they’re gone. They may be inexpensive, but that doesn’t mean that they’re common, nor does it mean that they’re going to be around forever. If you see a model you like, you should grab it! We’re not aware of any brick and mortar retailers that carry this brand. You can, however, buy at a number of online stores, including all of the large retailers. You can also buy them at the official Website, though you might find better prices if you shop around. Be aware that because of the limited edition factor, not any retailer, including the official site, is likely to have the same inventory. Models come and go, and you might have better luck finding an out-of-production model somewhere other than the official Website. 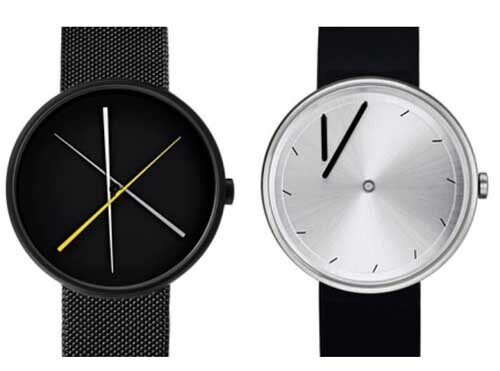 There’s a lot to like about Projects watches. They have amazing styling and there are some truly inventive and creative models in their product line. 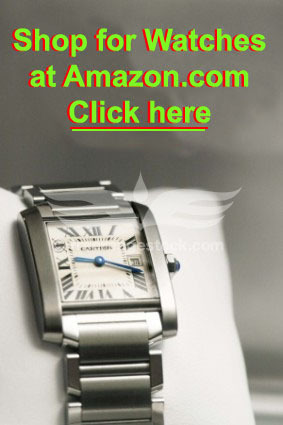 Their watches are quite affordable, and they are sure to start conversations whenever you wear one in public. On the downside is the fact that we have no idea what kind of movements are used inside them. Still, if you’re looking for one (or more!) watches with truly unique styling that you’re not going to find anywhere else, then you definitely want to give this brand a look.